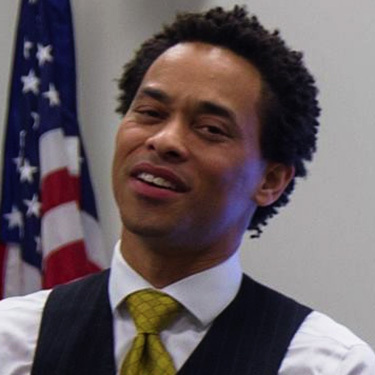 Jeremy Holloway is a teacher / speaker at the University of Toledo (UT), the community relations director for UT Student Government, president of Narrow Gate Community at UT, and a leader in the PhD program at UT. Holloway has a wide range of recognitions, including the UT Martin Luther King Jr. Award. He was also recognized as the International Teacher of Excellence in South Korea, and selected as head teacher for Education Group Inc. for Toledo and numerous cities in China. He serves his community as an advisor, mentor, and leader for Multicultural Educators of the Future and Brothers on the Rise; as an instructor with Multicultural Emerging Scholars Program; and as a recognized minister of music in various local churches. Holloway was also a team leader in Toledo for community building projects in Managua, Nicaragua; Wonju, South Korea; and Laung Prabnang, Laos.